With its mix of old and new, oceanfront and green spaces, Victoria is a very popular destination any time of year. But there’s something extra special about Victoria at Christmas time. While not located in downtown Victoria, Butchart Gardens is a magical place at Christmas. The Gardens welcome you with the lights of the Twelve Days of Christmas while carolers stroll the gardens. Or bring your skates to take a turn around the outdoor skating ring. If you’re twelve or under, make a paper snowflake and exchange it for a cup of hot chocolate in the Coffee Shop. 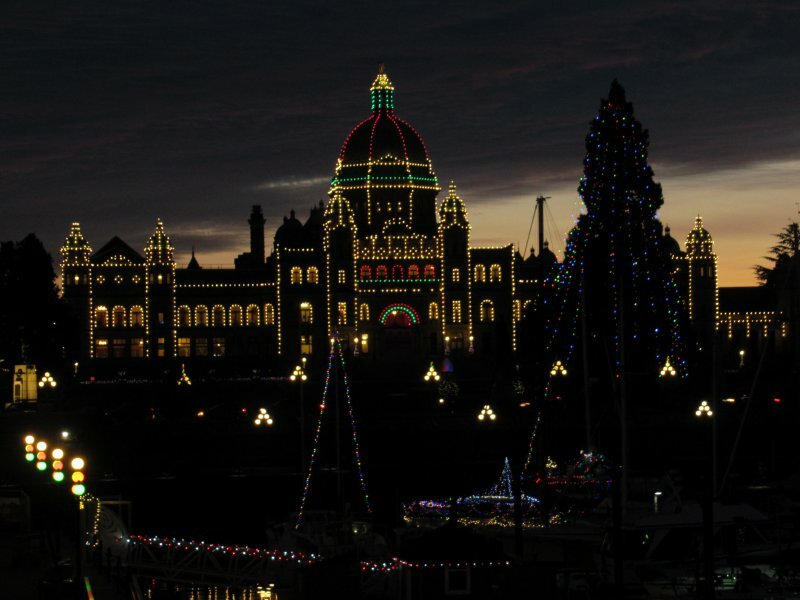 Downtown Victoria has a magic of its own, presided over by the Christmas lights at the BC Legislature. The Festival of Trees lights up The Bay Centre with its 25th annual display, with more trees featured at the famous Empress Hotel. 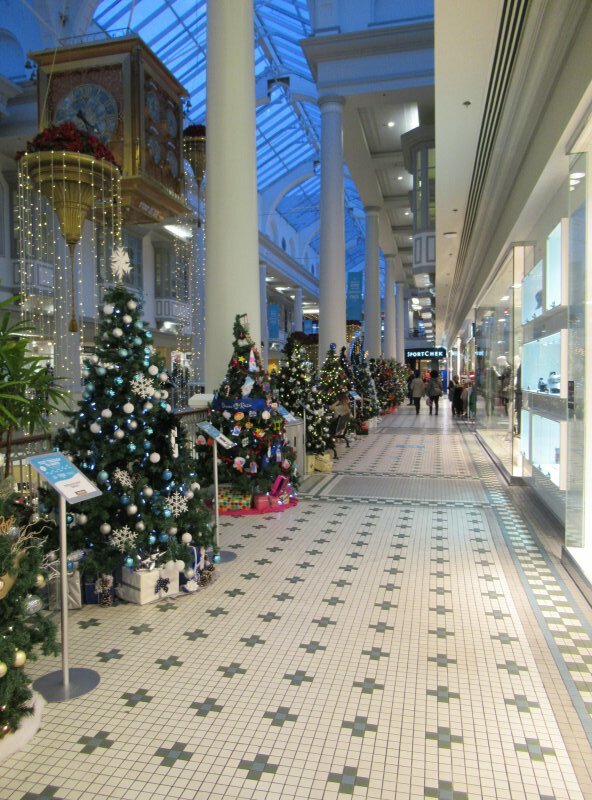 Vote for your favorite tree and make a donation to the BC Children’s Hospital Foundation. Another great display of lights can be found at the docks and on the boats along Wharf Street and at Fisherman’s Wharf. Kids young and old will enjoy Canada’s National Gingerbread Showcase at the Parkside Hotel on Humboldt Street. Both amateur and professional bakers take part and in honor of Canada 150 the theme this year is “Celebrating Canada”. The charity benefiting from all this baking is Habitat for Humanity. If bigger is better, check out the Candy Wonderland at the Fairmont Empress where they have a life-size gingerbread house, and you can decorate your own! Centennial Square will once again have its ferris wheel, along with entertainment, food vendors and the big guy himself. What a great way to see all the lights around downtown Victoria! Every Tuesday and Wednesday during December you can enjoy classic Christmas movies under the stars at the Christmas Starlight Cinema at the Delta Victoria Oceanpoint Resort. While admission is free, donations to Santa’s Anonymous are encouraged. A life performance of A Christmas Carol is showcased at historic Craigdarroch Castle starting on December 15th, but tickets go fast for this one. You can also take the kids to Craigdarroch Castle for a Kid’s Christmas at the Castle on December 16th. And of course Christmas is not Christmas without music. There are many life concert and performance events around the capital city, starting with the Victoria Symphony’s Christmas Pops concert(Dec. 8, 9, and 10) and their performance of Handel’s Messiah (Dec. 15 and 17), and ending with a Viennese New Year’s. Another very popular Christmas concert and toy drive is put on by the Naden Band of the Royal Canadian Navy at the Royal Theatre on December 11-13. In the courtyard of the Greater Victoria Public Library you can drop in to hear Choirs in the Courtyard on multiple days during the month of December. A great way to take in the festivities around downtown is to join the walking tour of “Christmas in Old Victoria” on weekends during December. Tours start in front of 26 Bastion Square and run from 10:30 – 12:00. Another way to see all the lights and decorations and hear the music around town is to take the free horse-drawn trolley rides on the weekends. These rides are free, compliments of the Dowtown Victoria Business Association. Two trolleys will circulate on a pre-set route between 12 – 2:30 pm. 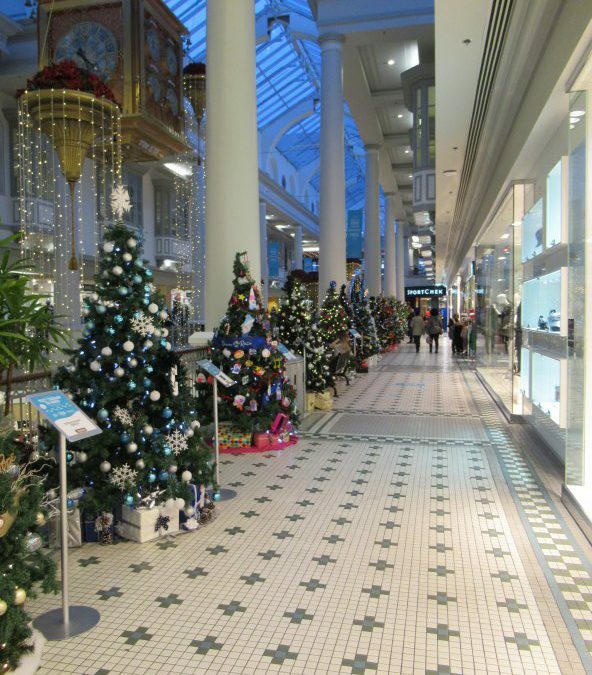 It’s a great way to rest your weary feet and enjoy all the Christmas magic in Victoria. Happy Holidays to all!